Silky, smooth and delicious! 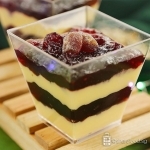 This Blackcurrant Milk Pudding is an irresistible dessert for all ages. 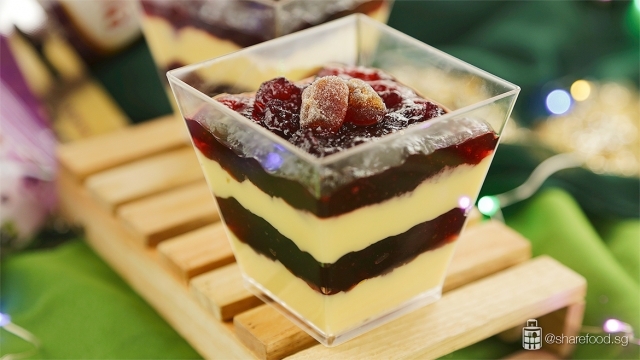 In collaboration with Ribena Singapore, home cook Zaiton makes a classic dessert that is very easy to prepare and can be served quickly. It is a great dish to serve especially for gatherings of 80 - 100 guests and more! 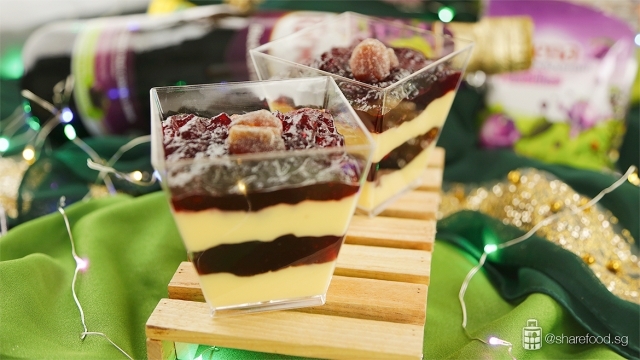 This classic dessert is layered with milk pudding and Ribena blackcurrant jelly topped with Ribena pastilles. The combination of flavours and textures will blow you away! She also shared that her family has tried this new recipe and really enjoys eating it. The kids would scoop out the pastilles first and savour it before having the pudding. She also shared that it is best to make the jelly the night before as it takes time to set. 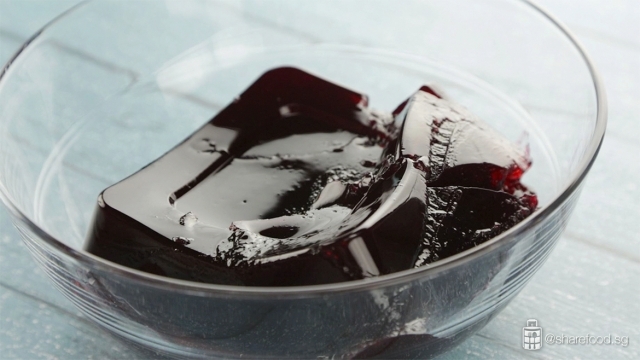 Using Ribena blackcurrant cordial helps to give the jelly a vibrant colour and also enhances the flavour. 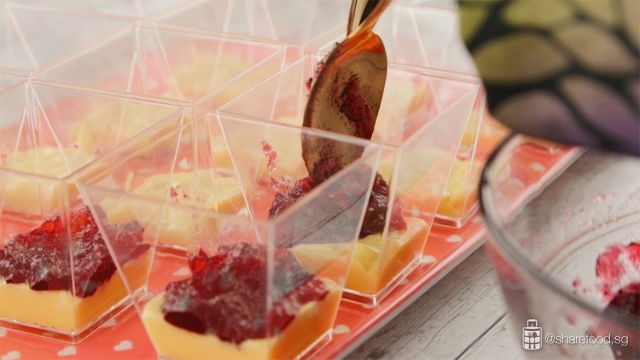 Pipe them beautifully into small cups and you can serve it fast to a large number of guests! Who could ever resist this delicious sweet pudding? 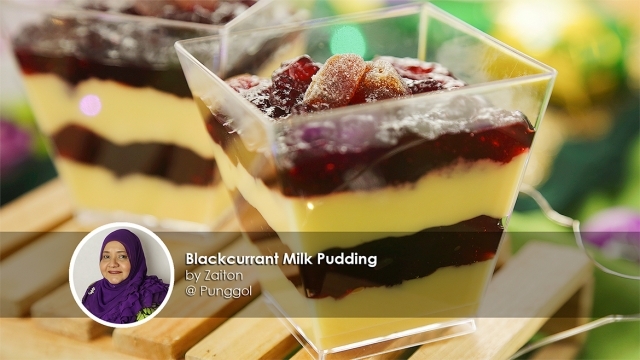 Win the hearts of your family and friends with this incredible Blackcurrant Milk Pudding recipe! Enjoy the festivities and wishing everyone Selamat Hari Raya Aidilfitri! Ribena blackcurrant milk pudding is an irresistible treat for all ages! 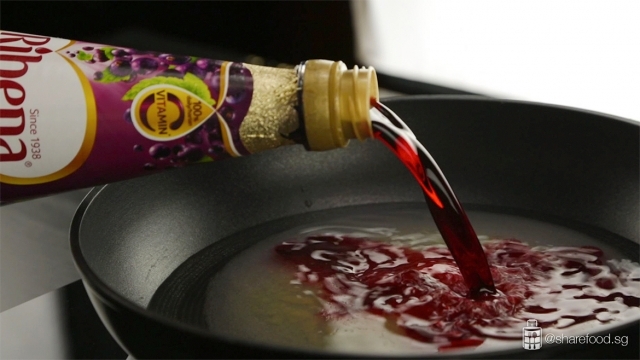 In a saucepan, place all ingredients for the jelly in and mix well. Switch on the fire to medium heat, stir till the jelly dissolves and thickens. Switch off the heat. Transfer to a container and let it cool. Once it has cooled down, transfer to the freezer. 2 hours later, remove from the fridge and mash it. You may also use a coarse grater, as desired. 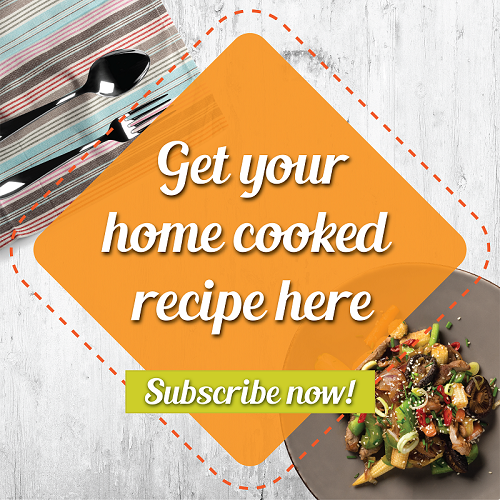 In a saucepan, add in evaporated milk, condensed milk, water and salt. Mix well. Switch on the fire to low heat, slowly add in the custard powder and stir till it dissolves and thickens. Switch off the heat. Put it aside and let cool slightly. 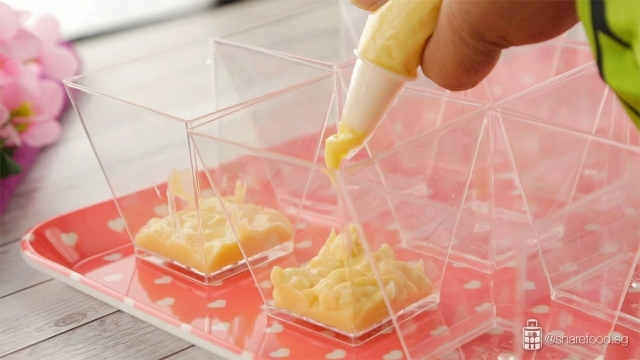 Pour the custard into a piping bag. Arrange the mini pudding cups on the table. Pipe in custard, followed by the Ribena blackcurrant jelly. Alternate the layering till the cup is ¾ full. Repeat the same steps for all the cups. Placed the pudding to the chiller. Serve chilled.